These are licensed Multicam Black hats. Genuine Yupoong SNAPBACK and FLEXFIT versions are available. Both have black mesh backs with a small silver CJ logo on the front lower corner. These hats have a medium crown and a slightly curved bill. Free hat: For a limited time, this hat is FREE with cj-motorsports.com orders of $800 or more. 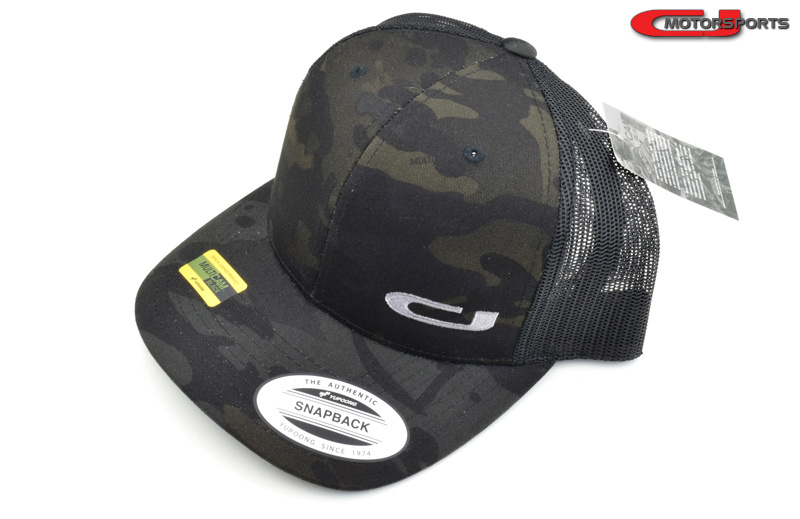 Cheap hat: For a limited time, this hat is just $5.95 with cj-motorsports.com orders of $450 or more. To redeem, add the hat of your choice to your shopping cart. During checkout, click on "Have a coupon code?" (right side of the screen, in the order total area). Enter the code freehat or cheaphat, and the appropriate amount will be deducted from your order total.